Located in the President’s Office, United Republic of Tanzania, UONGOZI Institute provides training to leaders from Tanzania and beyond, organises high-level policy forums and dialogues, and carries out research on leadership and sustainable development. 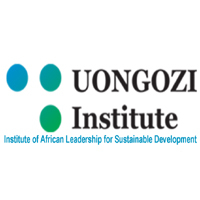 UONGOZI Institute is currently seeking to recruit two (2) Researchers.The successful candidates will contribute to the research programmes of UONGOZI Institute by carrying out research, publishing, and engaging in policy debates on issues of relevance to leadership for sustainable development in Africa. No less than five (5) years of relevant work experience. Plot No. 62, Msasani Road, Oysterbay.